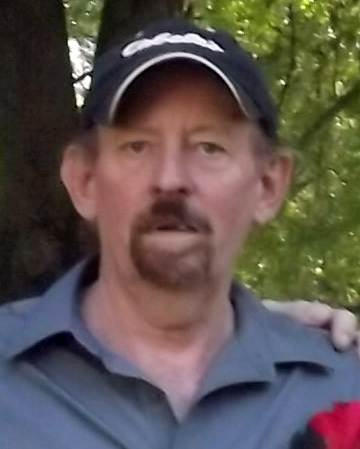 Reggie “Reg” G. Farland, 70, of Warsaw, Missouri; formerly of Newton died on November 24, 2018, at Accura Healthcare of Newton East. A memorial service will be held at 10:00 a.m., Saturday, December 1, 2018, at Holy Trinity Lutheran Church. The family will greet friends after the service with a lunch at the church. Memorials to the Newton Salvation Army Food Bank or the Warsaw, Missouri Food Bank may be left at the church the day of the service or at the Wallace Family Funeral Home and Crematory. Reg, the son of Delbert and Billie Jean (Greene) Farland, was born on July 28, 1948 in Newton. He grew up in Newton and graduated from Newton High School in 1967. For over 30 years and until his retirement, Reg worked at Pyramid Plastics Incorporated. He also had a long time cleaning business in Newton. For many years, Reg owned a cabin in Minnesota, where he spent a lot of time. Later he retired in Missouri. Reg was a member of the American Legion and a former member of the Izaak Walton League. He loved cooking, country music and being outdoors. Reg is survived by his son, Luke Farland of Nevada; foster son, Steven Wells and his family; his grandchildren, Hope, Faith, Kamaeya, and Caeleb; his mother, Billie Farland of Newton; siblings, Dennis (Pat) Farland of Newton and Beth (Doug) Smith of Newton; his nieces, Dennise (Lee) Fields, Michelle (Mike) Wood, Tania (Marty) Baskerville, Natalie Smith, and Sarita Smith; his great-nieces and great-nephews; and other extended family and friends. He was preceded in death by his father.